3. Print the submission document and post it to Family Carers Consultation, Ministry of Health, PO Box 5013, Wellington 6145. Family-Carer-Submission-Form.doc(107.00 KB). • How should family carers be paid? • What should they be paid for? • What can the Government afford? • How can the Government ensure good outcomes for disabled people and carers with the new policy? The new policy is expected to come into effect in May 2013. Please sir, can we have some help? Don’t expect help in a hurry. In fact, ways of not getting help are really on the increase. Anyone who has had anything to do with Housing New Zealand will have noticed there seem to be more and more things you need to do before you even make it into the housing queue. First you ring the 0800 number, then if you make it through that process, you go through a full needs assessment where you have to bring a pile of evidence to prove housing need. Then and only then, do you make it to the waiting list. Suppose you don’t just need a home, but you also need a benefit as well, or maybe just a benefit without the home. The Social Security (Benefit Categories and Work Focus) Amendment Bill 2012 requires a whole lot of convincing Work and Income. You do that now? Yes, but from now on, it’s not just about you (the applicant). From now on, your spouse / partner may need to undertake pre-benefit activities as well. The idea is “pre-benefit activities have a significant effect in reducing the number of people going on to receive a benefit." And if your partner/ spouse does not do the pre-benefit activities required, you, might get sanctioned (clause 9). Further opportunities for not getting help come with reapplication. You need to reapply annually or have your benefit cancelled if you are on a jobseeker benefit (essentially old unemployment benefit, sickness benefit, DPB if youngest is now 14+). Work and Income notes “annual reapplications have proven very successful in reducing the number of unemployment benefit recipients.” Then there is the overseas option. Restrictions on people receiving benefits while overseas “will be extended to beneficiaries with a specific work preparation requirement, and to people receiving an emergency benefit” so “all beneficiaries will need to inform Work and Income of any international travel plans to prevent their benefit being automatically suspended when they leave the country”. 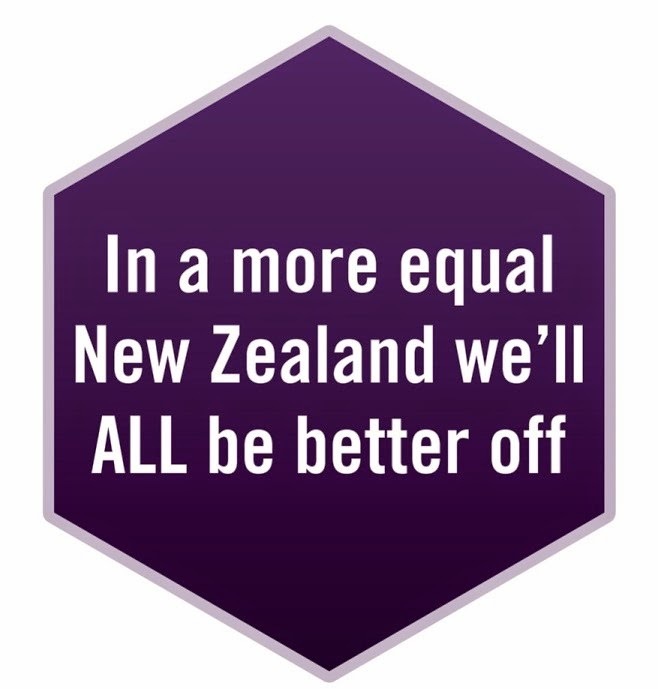 No one will be getting an unemployment benefit while studying full time, despite our country’s desperate need for well educated people and Government’s aspiration that everyone has at least NCEA level 2. Then, decline an offer of “suitable employment” at your peril. It will result in cancellation of the benefit and a 13-week stand down (50% of the benefit if children are involved). Moral of the story: expect many opportunities to not get help. NZCCSS recently completed its analysis of the White Paper for Vulnerable Children. You can read it here. We wonder if government policy is a little bit at odds with itself with its concerns about vulnerable children vs ideas of cutting benefits by 50% for families with children who do not perform all the MSD required benefit requirements. Or concern about vulnerable children but not dealing with the poisonous poverty and family violence combination. Or concern about vulnerable children, but leaving out families on benefits from the increase to the low income Working for Families tax credit timed for 1 April next year. Or wanting good educational outcomes for children, but not considering parents who home school their children. Or wanting to improve adolescent mental health, but having youth health clinics either close or be under threat of closure at the same time. Government does appear to be hearing some of current grumblings around housing, at least enough to make some announcements in the area. John Key and Bill English appeared on TV. The PM focused on things getting better if the economy is more competitive, and Bill English (Finance Minister) announced the supply of houses is "simply not as responsive as it could or should be". Minister of Housing Heatley made reassuring announcements about how government is addressing the housing problem. There will be more houses in Hobsonville, and Papakura, and access to Kāinga Whenua loans will be easier. While all the debate, policy papers and announcements about housing rumble on, Housing New Zealand is busily divesting itself of houses, either because of some clever new policies, i.e. kindly donating houses to social housing projects – “transfers of HNZC properties or Crown land to community housing providers” or deciding current houses are either dangerous or a potential earthquake risk and around 700 of them need to be demolished. - Auckland house prices rising because some highly skilled Cantabrians have headed north. And if you don’t have a house? Auckland has a specialist court for homeless people charged with low level offending. Despite some big successes, it may not survive, as funding is short. Short funding could prove very short sighted as the court has reduced arrest rates by 66%, bed nights in prison reduced by 78 per cent, and emergency department visits by more than 15 per cent. Lifewise’s John McCarthy is concerned “only half of the eight financial backers of the court had committed to the next round of funding” and “going to the Government for extra funding [is]difficult as there [is] no department that deals specifically with homelessness. Wellignton is taking a community approach with the city council’s unanimous endorsement of Te Mahana - a draft Strategy to End Homelessness in Wellington. The strategy is a collaboration between Wellington City Council and the agencies which gathered for a summit in May. The idea is to find ways to stop people becoming homeless in the first place, deal with homeless people’s needs quickly when they do arise, and stop them from becoming homeless again. Training Nurses for Aged Care - no more “wallflowers” through a dedicated unit at Howick Baptist Healthcare. Manukau Institute of Technology is working with HBC in operating an aged care unit that is designed to incorporate up to 6 trainee nurses as part of their routine work. Trainee nurses appreciate being fully incorporated into the team and not just “wallflowers” who stand and watch, not feeling able to contribute to the nursing work. Trying to look busy? – The fast-tracking of the introduction of the aged care assessment tool InterRAI into rest homes announced by the Associate Health Minister Jo Goodhew is a strange decision. The sector has been working hard to trial this system already and there is a great deal of interest in it, but it has also brought with it a huge range of challenges to overcome, not the least training up staff and dealing with all the complex data technology problems implementing this computer-based system brings with it. We’re not sure who pointed out the 1080 double entrendre, but it’s not original. As well as being a nasty poison, $10.80 is also the proposed new youth rate. Public submissions are now being invited on the Minimum Wage (Starting-out Wage) Amendment Bill. Submissions can be made by clicking on the link at the bottom of the linked page. The closing date for submissions is Tuesday, 27 November 2012.
has started with a review of the Child Youth and Family complaints process already underway. Former Police Commissioner Howard Broad has been appointed as the independent reviewer. • Options for independence and report on the financial, legislative and accountability implications of these options. Review will be completed by the end of 2013. We hear heaps about welfare cheats and the occasional report of tax cheats. But the media info is out of proportion. It turns out, “tax evaders cheated the country of between $1 and $6 billion, while welfare fraud cost $39 million.” The average tax evader helped themselves $270,000, and only had a 22 percent chance of going to jail if found guilty. The average welfare offender had $70,000 more than they ought, but had a 60 percent chance of being behind bars. The injured worker in Taumarunui who was deemed by ACC to be suitable for a job as a customs officer, and therefore lost his access to weekly compensation. Problem- there are no customs officer jobs available in Taumarunui, but ACC wasn’t too worried about this. Register with John Dickson, SSPA at info@sspa.org.nz or phone 027 510-1517. Professor Greg Duncan, will be based at the Institute for Governance and Policy Studies, School of Government.